Like most people teaching liberal arts classes at art and design colleges I’m constantly trying to get my students talking about works of art and design, and once I’ve got them talking, I’m constantly trying to get them to say something critical, relevant, and supported by observation. The school where I work is also nearly 50% international students, so we’ve got all sorts of language disparities and cultural perspectives that can impede clear communication and understanding. 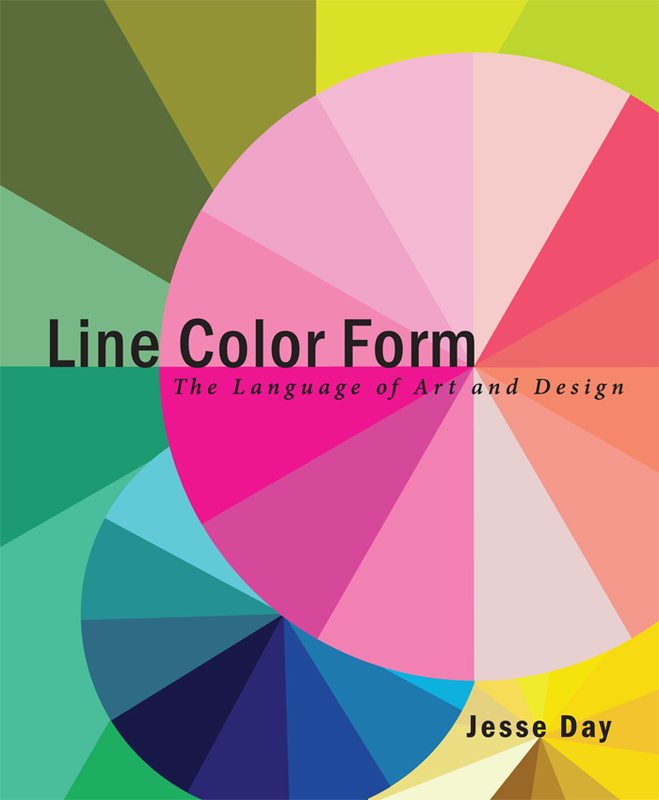 To reflect on and address some of the pedagogical issues I’ve come across during my teaching career, I ended up writing a book, Line Color Form: The Language of Art and Design, which was published this spring. In it, I’ve tried to address this problem through finding a common tongue based on specific aspects of visual language. Once mastered, this visual language allows us to establish a collective lexicon of formal terminology and concepts, so that we can all know what we’re talking about. I’d like to share some of the activities that I do with my students using the text. The goal of Line Color Form is to present students with the vocabulary needed to write about and discuss art and design in a full color graphic format that engages them aesthetically. At the same time the book walks students through a practical step-by-step approach to formal analysis. The text is divided into chapters based on formal aspects such as Line, Color, Composition, Material etc. This is a convenient organizing principle that also encourages students to look at objects and images through a variety of lenses in order to arrive at a more complete understanding of how they are functioning. Really what I’m trying to do with this book is to provide students with the big building blocks, the Duplo Legos that will allow them to gradually gain their own mastery over the language and concepts of art and design. While I do believe in the value of self-directed reading at home, the pages of this book can also be used as a springboard into dozens of interactive classroom experiences. A lot of the content is based on materials and lessons I’ve created over the years for my freshmen “Writing Seminar” and “Design History” classes. I’d like to take a look at an activity that uses the Composition chapter. This is a great partner activity that helps students increase the detail and specificity of their verbal descriptions, while learning to look more closely at composition. I’ve done this activity with both general classes and ESL classes, and found that it not only improves student language proficiency, but can also build peer-to-peer relationships and self-esteem. 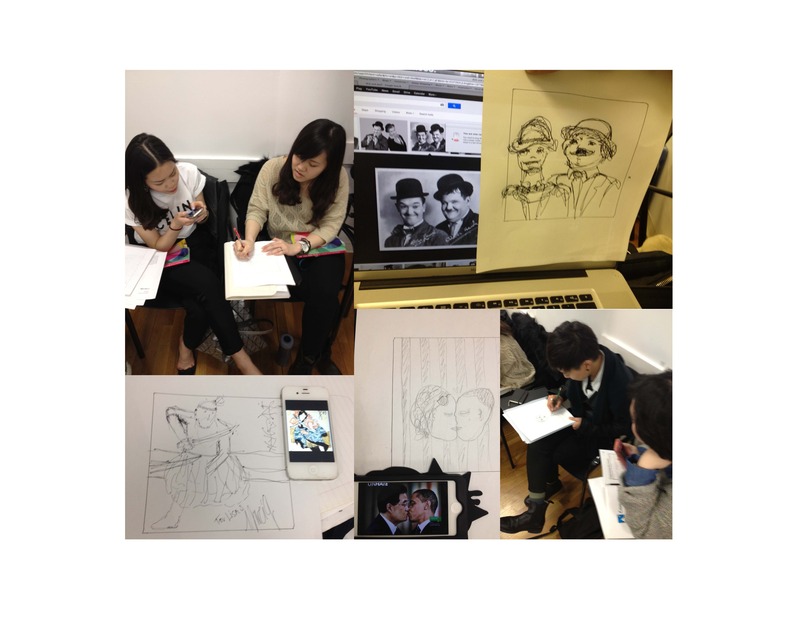 Many shy ESL students happen to be great at drawing and this activity gives them a chance to shine in the more verbally oriented seminar or survey classroom. 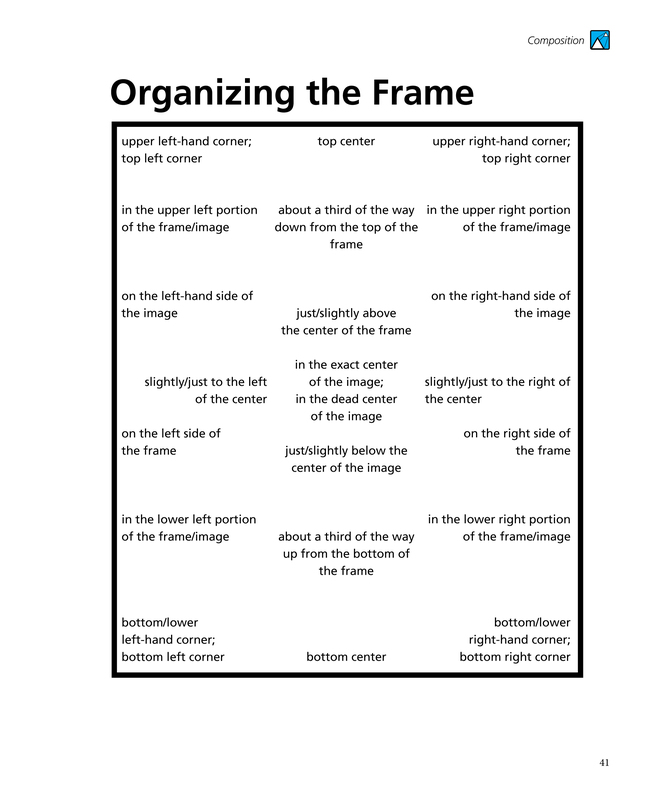 For this activity we just need to look at the first page of the Composition chapter, which offers precise wording for the spatial organization of the 2D frame. Begin by putting students together with a partner and have them spend a minute or two looking at this image (ideally they will have already read the chapter for HW, but this is not required). Explain to students that they will be using this language in order to describe an image so precisely that their partner can draw it without even seeing it. Each student will need a blank piece of paper and an image. I usually provide students with a blank page on which I have already drawn a square frame, but you could just as easily have students start with a blank page and draw their own frame to their partner’s specifications. 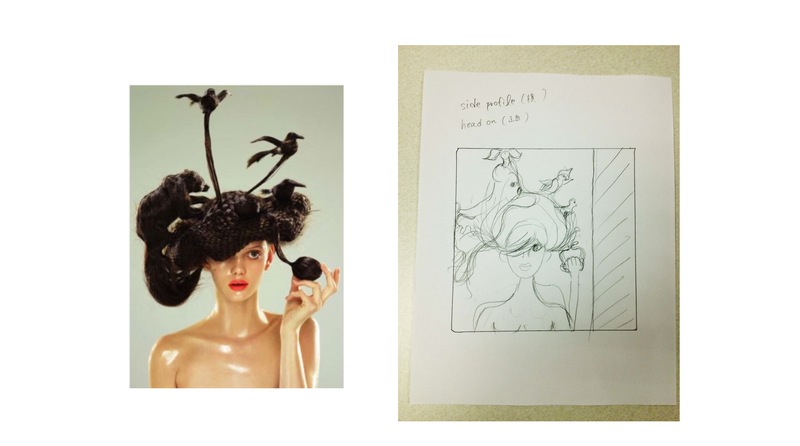 As far as what sort of image they use, I sometimes have them bring in their own and I sometimes provide them with photocopies of images I’ve chosen, depending on the content of the class. It’s best to use relatively simple images that are not too abstract and feature recognizable subjects like people. 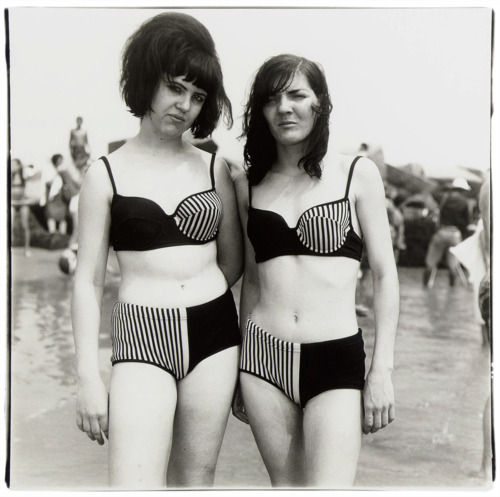 Something like Diane Arbus is a great choice because her use of composition is so explicit and so central to the interpretation of her work. Make sure that students can’t see each other’s images and instruct them to choose one partner to begin describing and the other to draw. I usually give students about 10 minutes per partner before switching. It’s important to emphasize that this is not an art contest. It doesn’t matter how pretty the picture is. What matters is that the broad compositional elements are right. Is the horizon line in the right place? Is the cropping accurate? Are figures and objects in the foreground and background the right size and facing the right way? Encourage students to use the vocabulary from the book to help them with precision and to ask questions if they don’t understand what their partner is saying. It should be a dialogue. After one student has finished, have them show their partner what they’ve drawn and discuss what went right and wrong. (This always happens very organically, you don’t’ have to tell them to critique themselves. Critique they will!) As the activity winds down, encourage students to share what they have done with other groups. Hint: Instruct students to begin with a broad general description of what is in the image before diving into the nitty-gritty. This will make it easier to draw and is a good habit to get into before writing more formal art history essays. It may seem obvious, but a short simple description of what is there can be quite challenging for some students, and is often a gateway to deeper seeing. See the section on “Snapshot Descriptions” on page 74-75 in the Formal Analysis chapter of Line Color Form. 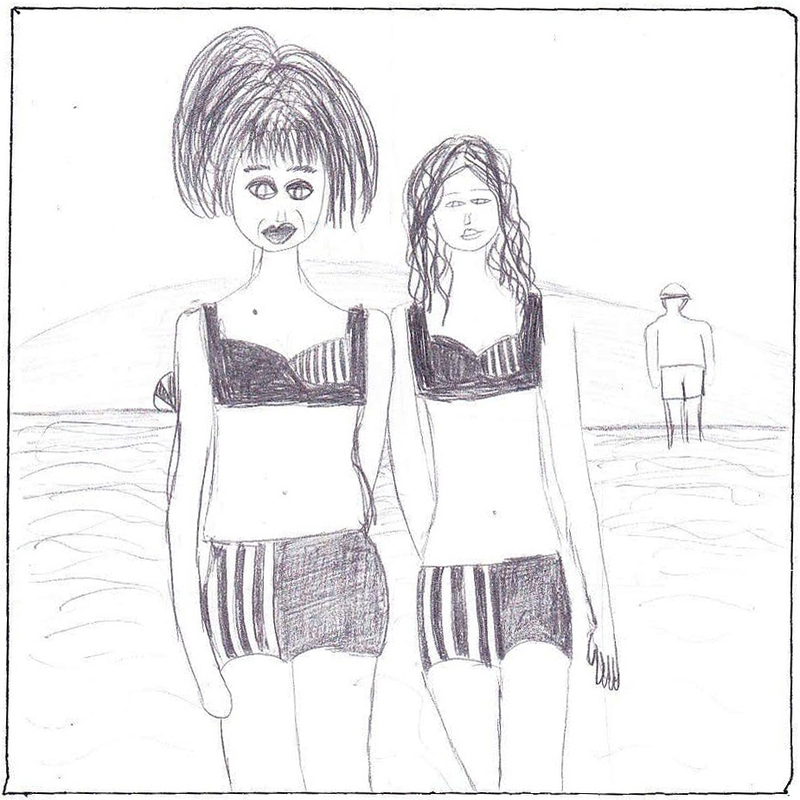 It’s amazing how accurate some of the drawings are, and even if they are not, it’s a great opportunity to discuss how language is, or is not, able to put clear images into another persons mind. This activity is a fun ice-breaker type thing for a unit on formal analysis, and it really puts the distance between image and word into sharp relief. Ultimately, the goal is that when students are writing about art they will remember the importance of detail and specificity and not assume that a reader can see the image, or sees it the same way they do. And feel free to contact me through my website! Thanks Jesse. This simple exercise is perfect. This is a great exercise! I used it in my intro to AH class this morning & the students loved it. It’s a great way to start off talking about formal analysis or lead into writing a formal analysis paper. Definitely recommended!